PG&E (Pacific Gas and Electric Company) has one of the largest plug-in electric vehicle fleets in the country and now intends to significantly expand it. The recently announced plan will allocate more than $100 million for PHEVs purchases (one-third of its annual fleet purchases) over the next five years, which will result in more than 750 new vehicles. "PG&E operates approximately 1,400 plug-in electric and electric hybrid vehicles, one of the largest fleets of plug-ins in the nation. The company currently dedicates about 15 percent of its fleet budget to plug-in electric technology, many times the five-year industry average of 1.7 percent. The $100 million commitment will add more than 750 plug-in electric units to PG&E’s fleet of over 14,000 vehicles, roughly double the current pace." "For the hundreds of Calaveras County residents who took shelter at Burson Full Gospel Church during the height of September’s wildfire, being evacuated from their homes was uncomfortable enough. Then the church’s only generator conked out. With no power, the makeshift emergency center’s refrigeration units stopped working. Cell phones for keeping in touch with loved ones couldn’t be recharged. And it looked as if flashlights and camping lanterns would be the only option for navigating the darkness. That’s when a Pacific Gas and Electric Company (PG&E) exportable power truck pulled up outside. Within minutes, the truck—itself an electric vehicle—had the lights back on, the wall outlets live and the refrigerators humming. The truck stayed on site for two days, providing all the power the center needed until a replacement generator could be brought in. 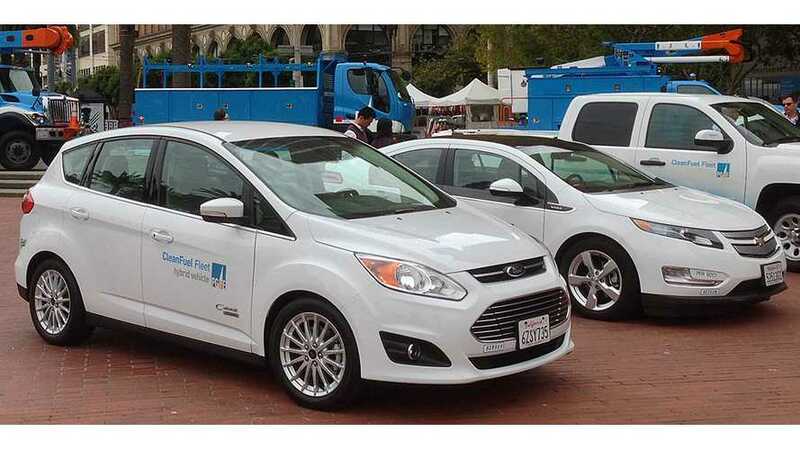 The trucks are among the newest additions to PG&E’s electric vehicle (EV) fleet. And more will soon be on the way, along with hundreds of other vehicles that use electricity for fuel." 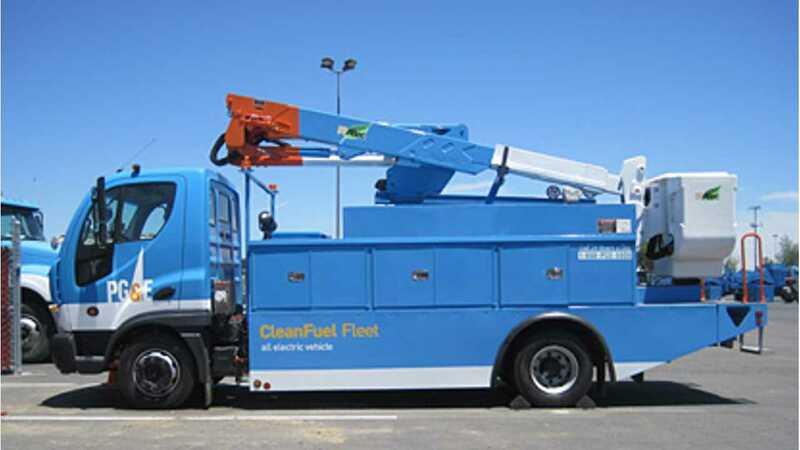 "PG&E leads the utility industry in incorporating PHEV technology in its own fleet, including pioneering electric power takeoff systems (ePTO) on the utility’s “bucket trucks.” This technology allows crews to operate all on-board equipment, including the aerial device and auxiliary systems, via a series of batteries, eliminating the need to idle the trucks at worksites. In addition, last year PG&E acquired the utility industry’s first plug-in electric class 5 utility work trucks from Dixon-based Efficient Drivetrains Incorporated. PG&E is now working on the deployment of the utility industry’s first class of bucket trucks with plug-in electric drivetrains." “The electrification of our transportation system will be essential in helping California to meet its long-term goals for greenhouse gas reductions. Converting more of our fleets to electric vehicles is a powerful way for the utility industry to take the lead and set an example." “We are seeing full payback on the increased initial investment in less than five years in many cases. In addition to the fuel savings, we’re seeing dramatically lower vehicle emissions and a better on-the-job experience for our crews."